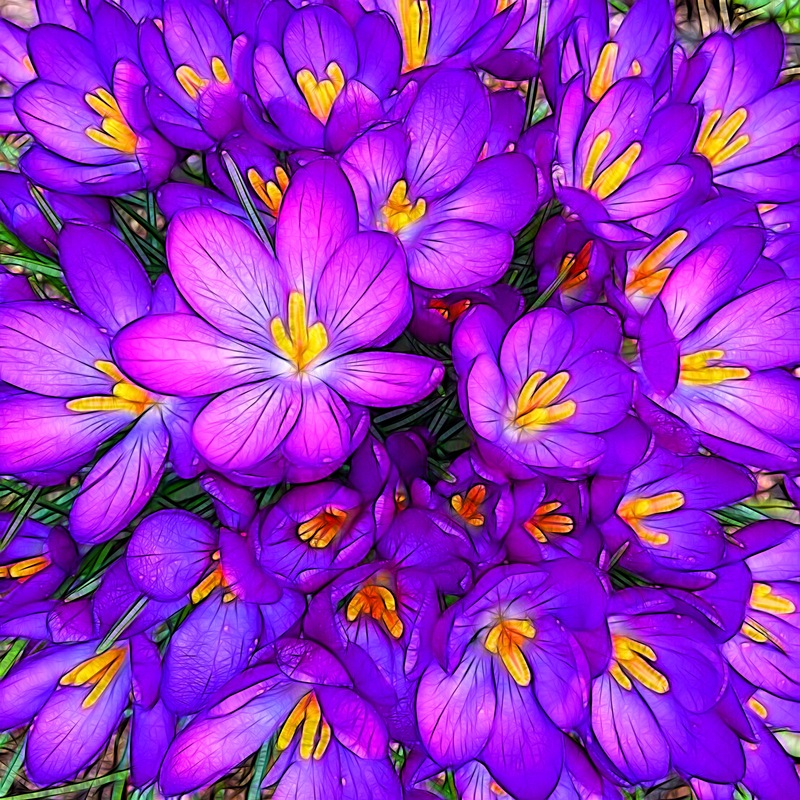 What is the plural for crocus! Croci? I don’t know. If so, then these are croci. My friend in South Carolina, Barbara Harris Sartell took this lovely photo and I did the edit. I used one of my very favorite apps, Tangledfx. I don’t like the default presets that come with the app. But I love my presets. So far I have about 30 of them that I play around with. I love to see the first crocus peek its head up because that means that Spring is very near. Wow! Kerry. This is wonderful. Love it.